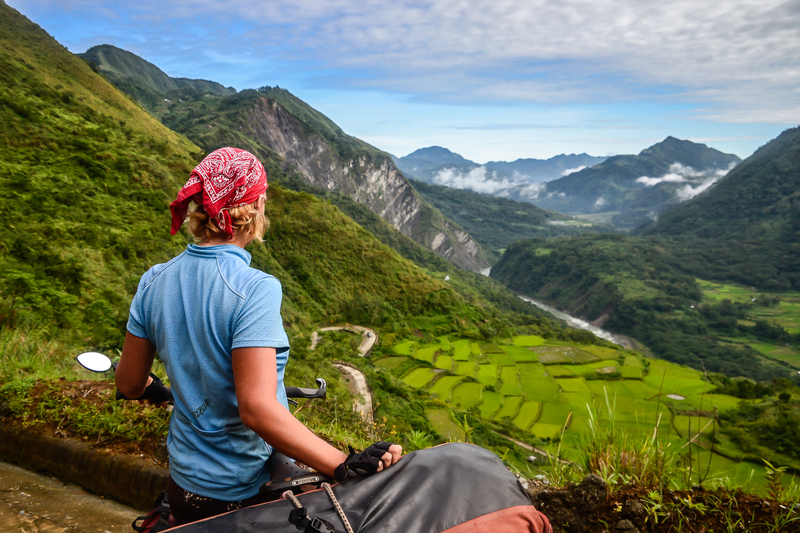 Southeast Asia serves up everything you’d wish for in a cycling adventure abroad: alluring landscapes, challenging terrains, delectable and diverse cuisines plus a fascinating mix of people, all set against a rich and abundant historical and cultural backdrop. Locals are friendly, prices reasonable (some say ridiculously cheap) and bureaucracy minimal. 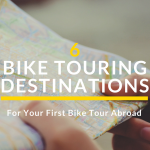 If you’re new to cycle touring or haven’t traveled abroad much, Southeast Asia is a great place to gain experience and build confidence before dashing off to more daunting destinations like Central Asia, the Andes or Africa. 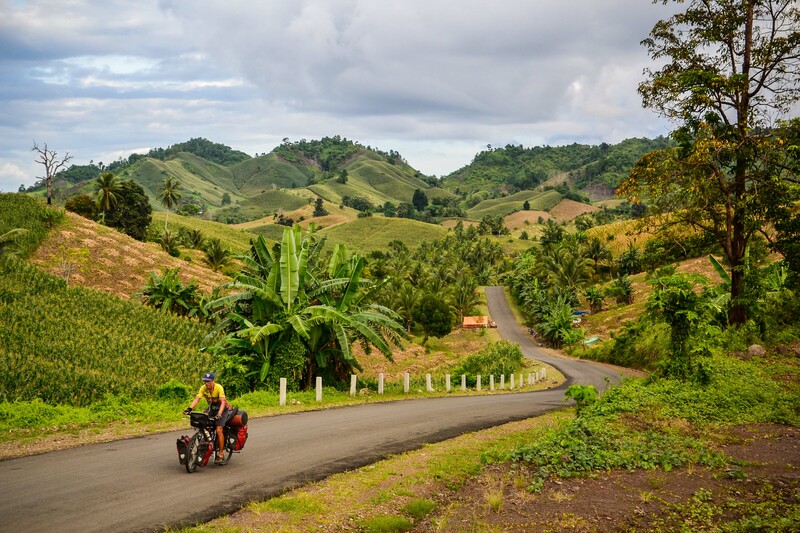 Stick to the classic routes and you’ll find plenty of perfectly paved roads, comfortable guesthouses, and a good variety of restaurants without having to compromise on outstanding scenery or interesting rides. Intrepid bicycle travelers who delight in dirt roads and discovering spots where stunned locals still stop to gawk at the sight of a sweaty tourist trundling along a rutted jungle track are equally well catered for. Throughout Southeast Asia, you’ll find it’s surprisingly easy to access rugged and remote areas barely touched by tourism. Even in a country like Thailand that attracts 16 million foreign visitors a year, it’s possible to cycle for weeks without seeing another foreign face. If you’re flying in to the region the best transport hubs are Bangkok, Kuala Lumpur, Singapore and Bali. If beginning your trip in Thailand, check into the possibility of flying into Chiang Mai, it’s a much easier city to navigate than Bangkok. Kuala Lumpur is a particularly perilous city for cyclists so consider getting public transport out of the metropolitan area into more rural surroundings. The region is generally hot and humid year round except in highland areas where the weather varies from warm and pleasant to decidedly cool. The wettest part of the year in most of the region is between June and October. Rain tends to fall fast and furious in Southeast Asia and you’ll want to duck for cover inside the nearest thatched hut, under a highway overpass or slip into a restaurant for a steaming bowl of noodle soup. December – February sees cooler temperatures, with the changes more pronounced the farther you are from the equator. This is the best time, weather-wise, to cycle the region. By early March things start heating up considerably and, after a sweltering day in the saddle, you just might be more than willing to a splurge on an air-conditioned room. By eating in local restaurants, camping some of the time and watching your beer and banana shake intake, careful budget cyclists can get by on around $10/day. Double that and you can travel comfortably without keeping a sharp eye on every Bhat and Kip that escapes from your handlebar bag. With a budget of $35-$50/day you can easily enjoy mid-range hotels with en-suite facilities, treat yourself to the best restaurants and enjoy your fill of Beer Lao. Southeast Asia is one of the safest and most hassle-free regions in the world. Border procedures are, for the most part, straightforward and corruption free. Theft is no more a problem than in Europe or North America and, unless you’re extremely unlucky, it’s highly unlikely you’ll fall prey to any scams or rip-offs targeting travelers. Overcharging is not commonplace outside of tourist areas, although it’s always good practice to ask prices before ordering meals. Traffic noise on main roads and in urban areas can be a serious issue, particularly in coastal Vietnam and Indonesia. Expect warm smiles and friendly greetings throughout the region. In off-the-beaten-path places, curious crowds may gather to gawk. You’ll surely receive lots of thumbs-up as you tackle big climbs and spontaneous offers of cold drinks, snacks and even invitations home for a meal are common. Internet cafes are slowly disappearing as more people have internet access at home, so consider traveling with a laptop or tablet. With the exception of Myanmar, Wifi is widely available in hotels, guesthouses and restaurants throughout the region. It seems everyone- from the farmer out plowing his field with a water buffalo to the businessman in the flashy SUV --has a mobile phone. 3G coverage is good and you’ll have no problem setting yourself up with a SIM card and local telephone number for a very reasonable fee. While it’s always fun to pore over a paper map, cyclists are turning increasingly to GPS technology and online maps which provide more detailed information. This makes particular sense in Southeast Asia, where the countless minor roads connecting villages render the route options almost endless. Open Street maps are free, fairly reliable and can easily be loaded on your devices. Your best option for paper maps are those made by Reise Know-How and Nelles, but even these are not 100% dependable. Your best source for route info may in fact be your fellow cyclist! Being such a popular touring destination, almost every corner of the region has been explored at some point. Roam around the Crazy Guy on a Bike website or Google some obscure route and you’re almost certain to come back with solid, up-to-date information. Using the Poste Restante system, it’s possible to receive parcels in all Southeast Asian countries. Postal services in Thailand, Vietnam, and Malaysia are the most reliable. Another excellent option is to ask a Warm Showers or Couchsurfing host to receive the parcel for you. Throwing your bike on a bus is fairly easy in most Southeast Asian countries, although you may be asked to pay a minimal fee and sometimes remove the front wheel. Using public transport can be a great way to avoid unpleasant cycling through large metropolitan areas or to make up time if your visa is about to expire. Trains are also an option in Thailand. With the advent of low cost regional carriers such as Air Asia, cyclists are now flying within the region. We’ve heard more than one sad story of a cyclist who turned up at the ticket counter with an unboxed bike and heavy gear and ended up paying many times the ticket price in excess baggage fees. Be sure to read the fine print before booking a flight. Chaotic. That’s how many people would describe the traffic in Southeast Asia. Scooters zip in and out, minibus drivers suddenly lurch to a halt, horns blare, cows wander across the highway, pedestrians weave their way through traffic, cyclists roll along in the hectic mass of humanity. It’s actually fun once you get the hang of it and not nearly as dangerous as it appears. Really. The trick to coming home unscathed is to go with the flow, make wild hand movements before executing any turns and use your bell liberally. Overall, roads in the region are of a fairly high standard and drivers reasonably courteous. If you stick to the main highways, you could easily ride on skinny tires. Of course, it’s much more fun to do a little dirt, so we recommend tires at least 1.75 inches wide. Indochina Express: With scores of possibilities, plotting a route through Southeast Asia can be tricky. If you’ve just got a few months, consider flying into Bangkok and head east into Cambodia at the Poipet border and continue to Siam Reap to take in the stunning temples at Angkor Wat. Go south to Phnom Penh and follow the Mekong to the Vietnam border at Khanhhua. Explore the delta region then start heading north past Ho Chi Minh City into the mountainous region around Dalat and on to Dien Bien Phu where you can cross into northern Laos. Ride to Udom Xai and take scenic Highway 13 all way to Vientiane. Cross back into Thailand at Nong Khai and follow the Mekong to Chiang Khan and head to the temples at Sukhothai and south to Bangkok taking in the floating markets along the way. Guesthouses and hotels are generally good value. The Couchsurfing and Warm Showers hospitality networks are catching on in the region and you can almost always find a host in larger cities. Blame it on the heat and humidity or the relatively high population density, but not many cyclists camp in Southeast Asia. Of course it is possible to pitch your tent in off-the beaten-track areas. In rural areas, Buddhist temples are known to offer hospitality to passing two-wheeled travelers. Being able to devour food in great abundance is one of the best reasons to go bike touring and there’s no better place to indulge than Southeast Asia. The region is known for its astonishing array of cheap and delicious eats. Whether it’s tom yum in Thailand or pho tio in Vietnam you’re guaranteed a satisfying meal after a day in the saddle. Top honors for cuisine go to Thailand, closely followed by Malaysia. The region is predominately hot and humid and you’ll probably need to down at least 5 liters of water per day. Tap water is not generally safe to drink, but bottled water is inexpensive and widely available. Growing mountains of plastic are a major concern so you may want to pack a water filter, SteriPen, or use water purification tablets such as micropur. Water filling stations/machines are another economical and environmentally-friendly option and it’s also possible to fill your bottles from large water dispensers at restaurants and other establishments. Yes, it’s possible. Guesthouses and roadside restaurants are so frequent many cyclists decide to ditch their camping and cooking gear and just cycle with the essentials. A lighter load means you’ll be able to cover more kilometers, but not being self-sufficient may limit your route possibilities. It’s a tough trade-off. If you’ve never toured solo before or are the type that prefers socializing to solitude, Southeast Asia is the perfect place to set off unaccompanied. By planning your route around popular tourist haunts, you’ll rarely find yourself in want of company. 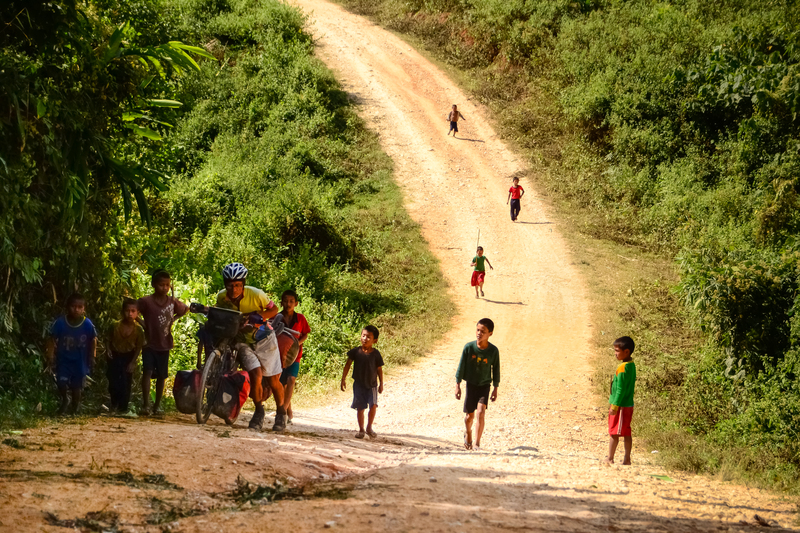 Set off on Highway 13 in Laos and you’re guaranteed to cross paths with other cyclists every single day! Malaysia and the Philippines are the only Southeast Asian countries in which English is widely-spoken. In other parts of the region, you’ll come across English speakers in large cities and areas that cater to tourists. A travel phrasebook will help facilitate conversation as will a smart phone equipped with a good translation app. Creative sign language also works well as people are generally very helpful and will take the time and effort to understand the message you’re trying to get across with your ridiculous (but highly entertaining) gestures. 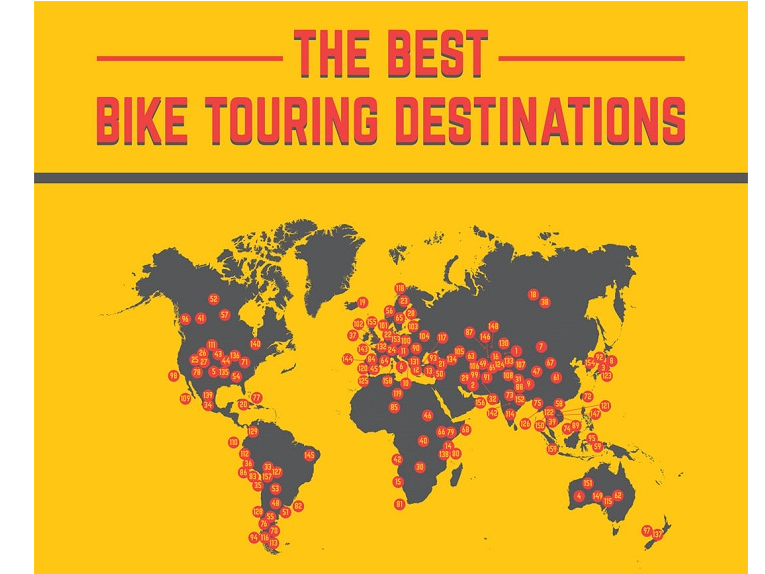 Buy the Bike Touring Bible! Want to know more? Check out the Adventure Cycle-Touring Handbook. The Adventure Cycle-Touring Handbook has gained a reputation as the bible for bicycle travelers. 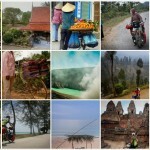 The information we provide here on bicycle touring in Southeast Asia was researched for our contribution to the ACTH. The ACTH is curated by bike touring legends (and all-around awesome individuals) Harriet and Neil Pike. Other contributors to the guide include Tom Allen, Peter Gostelow, Steve Fabes and Emily Chappell. *We do not receive any financial benefit if you buy the book. The Adventure Cycle-Touring Handbook is just a great resource and that's why we're plugging it.